Pete’s music career started in 2007, when the mega phenomenon of Bearforce1 catapulted Pete and the rest of the popbear musicgroup into the spotlight. After Perez Hilton discovered the group and called it “the most amazing thing ever “ the group toured cities across Europe and America, also becoming a youtube sensation with over two millions hits in just a couple of weeks. The band developed cult status performing at shows and on television. One year later Pete left the group in order to work on his solo-career. He took some time to develop his own style. Musicwise you could call Pete a “late bloomer”. 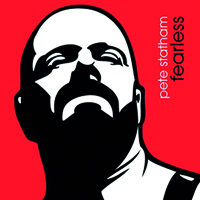 Pete sings rock/pop, ballads, uptempo electropop and most of his songs are topped with a melancholic topping. He released his first solo-album Uplifted in de summer of 2012, featuring feel good dance songs with uplifting energy and beautiful ballads. DJ’s from all over the world have made remixes of several songs from Uplifted. In march 2014 his album Uplifted-Remixed was released . The album contains remixes from Andy Mangan (Sydney), Ray Grant (Amsterdam), BiTbear (Budapest) and Julian Marsh (Miami). In the summer of 2014 Pete started a musical collaboration with award-winner American singer/composer/songwriter Doug Strahm(Ft Wayne-Indiana). Doug and Pete composed the single “With the Stars”and recorded it at the Sweetwater studios in Ft. Wayne. His new album Fearless has been released in November 2014. It contains the hits A SOLID LOVE, WITH THE STARS, I WILL MOVE MOUNTAINS and THE THINGS YOU DO. 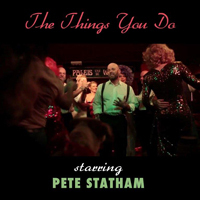 (*his latest videoclip is The things you do, (March 2015). In November 2014 the song he composed together with BiTbear from Budapest, I WILL MOVE MOUNTAINS, was remixed by several dj’s, like Julian Marsh and Mike Jolly and got licensed by Sobel Nation (New York). You can see all his videoclips on youtube. In January 2015 Pete recorded “it’s no good” from Depêche Mode (1996), remixed by dj Mike Jolly from Singapore which will be released in the summer of 2015. One of the benefits of being a “late-bloomer” is that Pete knows what he wants to express and what he’s singing about. Besides his music, pete works in the Dutch prisonsystem as a so called humanist spiritual councelor. He is a confidencial person for the inmates, a ‘free haven”so to speak where the prisoners can tell him their personal life-stories, being guaranteed getting 100% confidenciality. So they can tell him their crimes and even the judge may not know about the nature of the conversation or the confession. This makes Pete’s job intriguing but far from easy. With both his work and his music Pete wants to spread the message of love, tolerance, and our mutual connection, no matter what color, race, or believe-system we have. We need each other and we can inspire one another, every color in this world is worth to shine as bright as it can be. Pete believes strongly in the fact that we should help each other in order to achieve that kind of self-realisation and to refind that diamond in the mud. (*A diamond in the mud: track nr. 12 from his album FEARLESS). Music can be a strong and solid bridge to connect worlds who seem to be miles and miles or minds and minds apart.